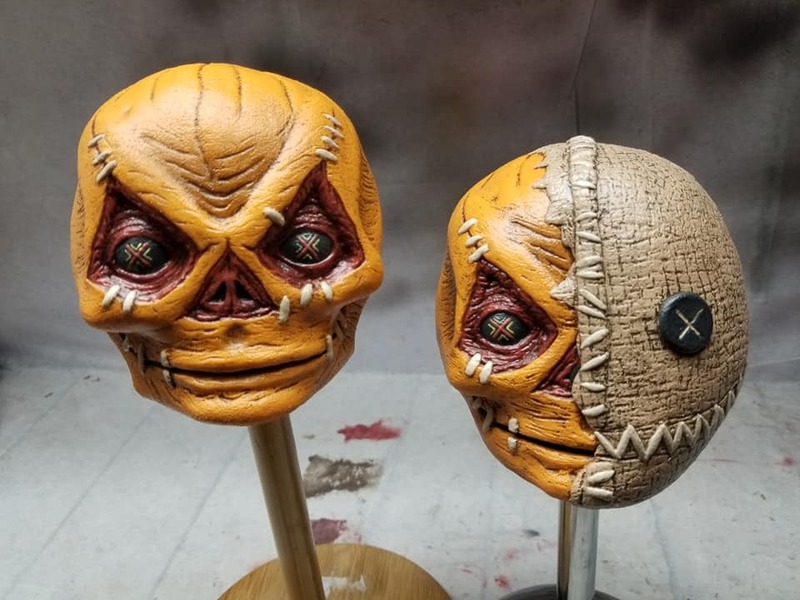 Regina, Saskatchewan artist and owner J.C. Wylde has branched out Wylde Designs to broaden the scope of his output outside of horror. His Creeping Death Productions name, however, will still be used from time to time for horror conventions and the Wyldeballs releases. Wylde shows off even more of his love for original ’80s rubber toys with his recently released WYLDEBALLS. Made of thick squeezable latex rubber, these horror-themed softball-sized creations are fully durable. The first run of five familiar horror characters includes a zombified version of the King of Pop, Michael Jackson (as he looked in the music video Thriller), Baby Freddy Krueger (from A Nightmare on Elm Street 5: The Dream Child), Tiny Firefly from Rob Zombie’s House of 1000 Corpses, Sam (Trick’R’Treat) and a John Carpenter-themed alien from the 1980’s classic They Live. Now get ready for the new additions to this line, which include Chop Top, complete with exposed metal plate in his head (Texas Chainsaw Massacre 2), Captain Spaulding, the fouled mouthed clown played by Sid Haig, available for $50 USD each, and The Guardian from the John Carpenter cult classic Big Trouble in Little China. This Wyldeball measures 8.5 inches tall and costs $150 USD. 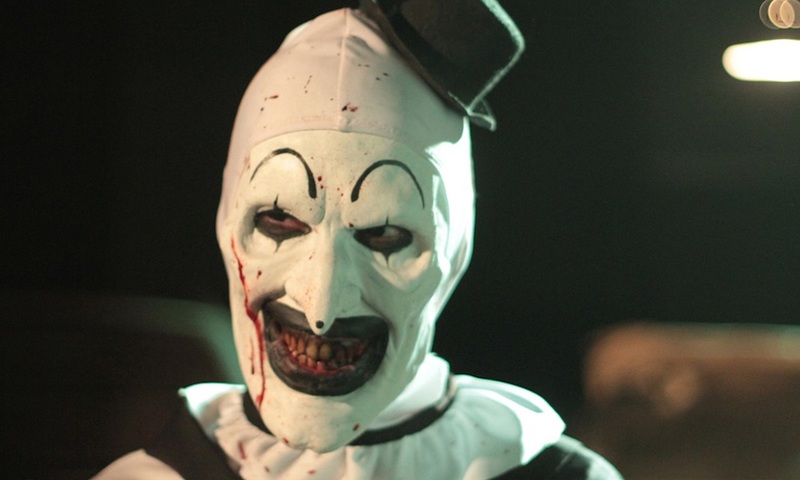 The next horror character to get the Wyldeball treatment will be Art the Clown, the maniac from the film Terrifier. 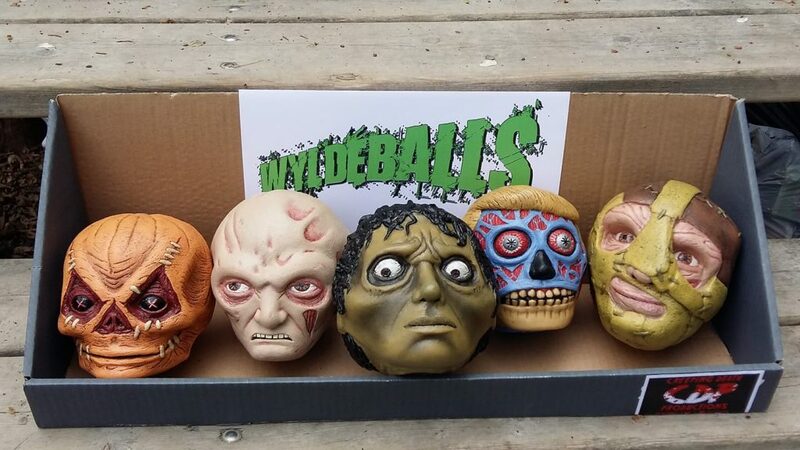 Wylde is also holding a contest right now where one lucky person will have their original design immortalized as a new “original design” Wyldeball to join the ones already in the line. Get in contact with JC via his Facebook account if you plan on entering a design (contest will only be open for a short period of time, so don’t delay). 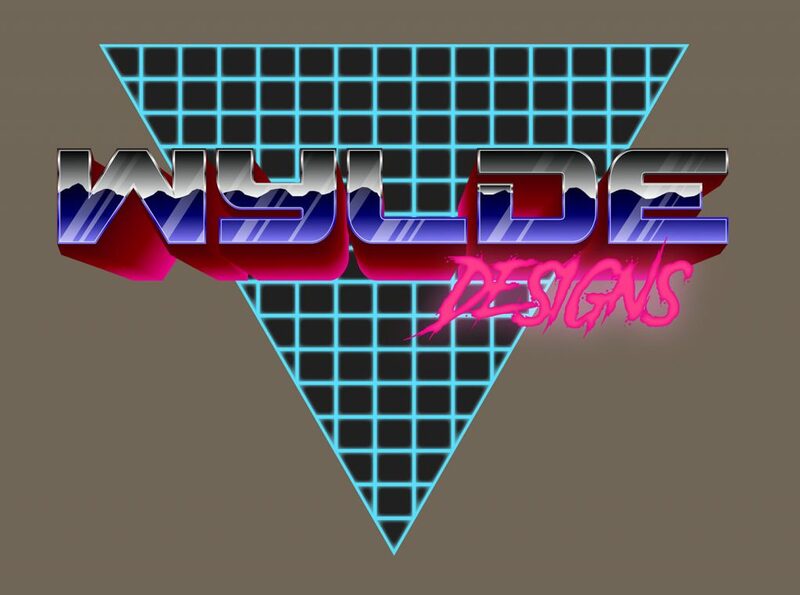 While there, check out all the new designs and art that comes from the mind of JC Wylde for Wylde Designs.